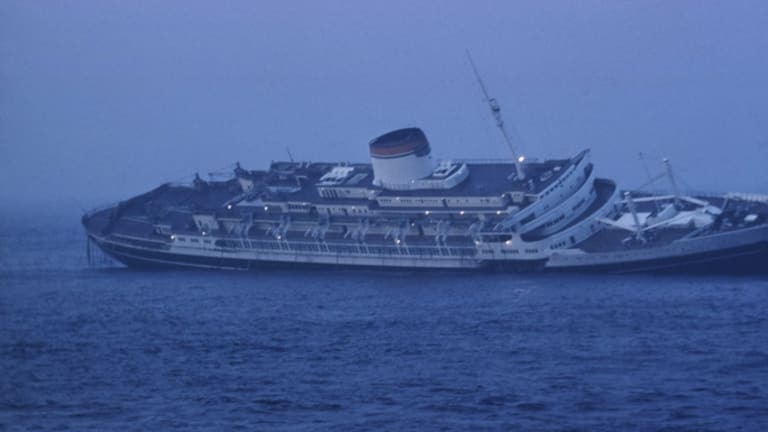 On the night of July 25, 1956, a collision between the ocean liners SS Andrea Doria and MS Stockholm killed 51 people and prompted one of the largest civilian maritime rescues in history. Though not the largest or fastest ocean liner of its era, the 697-foot Andrea Doria was widely regarded as the most beautiful. Its decks were dotted with three outdoor swimming pools, and it was dubbed a “floating art gallery” for its dazzling array of paintings, tapestries and surrealist murals. There was even a life-sized bronze statue of the ship’s namesake, a 16th century Genoese navigator. Equally impressive were the Doria’s safety features. It boasted two radar screens—a relatively new technology on ocean liners—and its hull was divided into 11 watertight compartments. Anxious travelers could also take solace in the presence of Captain Piero Calamai, a venerable Italian mariner and veteran of both World Wars. The Doria safely completed 100 transatlantic crossings between 1953 and 1956, and it initially seemed that its 101st would be no different. 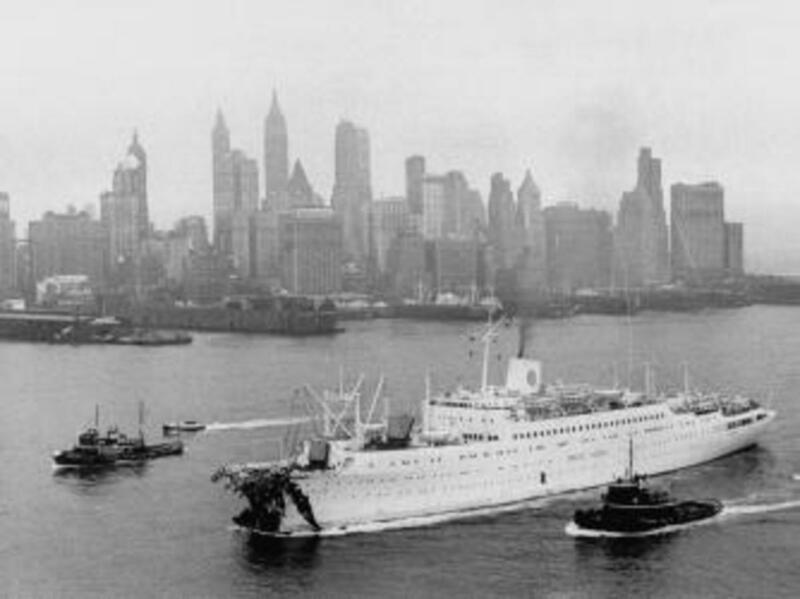 After leaving Italy on July 17, 1956, the ship stopped at three ports in the Mediterranean and then steamed into the open ocean on a nine-day voyage to New York City. Along with 572 crewmembers, it held 1,134 passengers ranging from Italian immigrant families to business travelers, vacationers and even a few notables such as Hollywood actress Ruth Roman. On July 25, the Doria entered the heavily trafficked sea-lanes off the Northeast coast of the United States. That same day, the 524-foot Swedish passenger liner Stockholm departed New York on a voyage to its homeport of Gothenburg. By around 10:30 p.m., the two ships were approaching one another from opposite directions off Nantucket. Neither was following the established “rules of the road” for ocean travel. Despite sailing in heavy fog, Captain Calamai had ordered only a minor reduction in speed to stay on schedule for an early morning arrival in New York. Stockholm, meanwhile, was steaming north of the recommended eastbound route in the hope of shaving time off its journey. 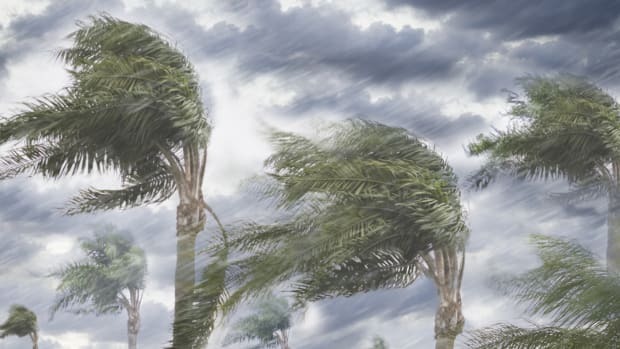 Around 10:45 p.m., Calamai’s radar picked up a blip representing Stockholm. The Swedish vessel, under the watch of third officer Johan-Ernst Carstens-Johannsen, spotted the Doria on its own radar a few minutes later. It was a situation both had encountered countless times, yet on this occasion the two ships somehow came to opposite conclusions about one another’s locations. Carstens plotted the Doria to his left and prepared to pass port-to-port, while Calamai, fixing Stockholm’s location to his right, maneuvered for a more unconventional starboard-to-starboard passage. One of the men—it’s still not certain who—had misread his radar and inadvertently steered his ship toward the other. The officers didn’t realize they were on a collision course until shortly before 11:10 p.m., when Calamai finally spotted Stockholm’s lights through a thick curtain of fog. “She’s coming right at us!” one Doria officer shouted. With just moments to spare, Calamai ordered a hard left turn in an attempt to outrun the other ship. Carstens, having spotted the Doria, tried to reverse his propellers and slow down. It was too late. Stockholm’s icebreaker bow crashed into Andrea Doria’s starboard side like a battering ram, snapping bulkheads and penetrating some 30 feet into its hull. It remained lodged there for a few seconds, then broke loose, leaving a gaping hole in the side of the Doria. Onboard Andrea Doria, passengers felt a tremendous jolt accompanied by the sound of clanging metal. 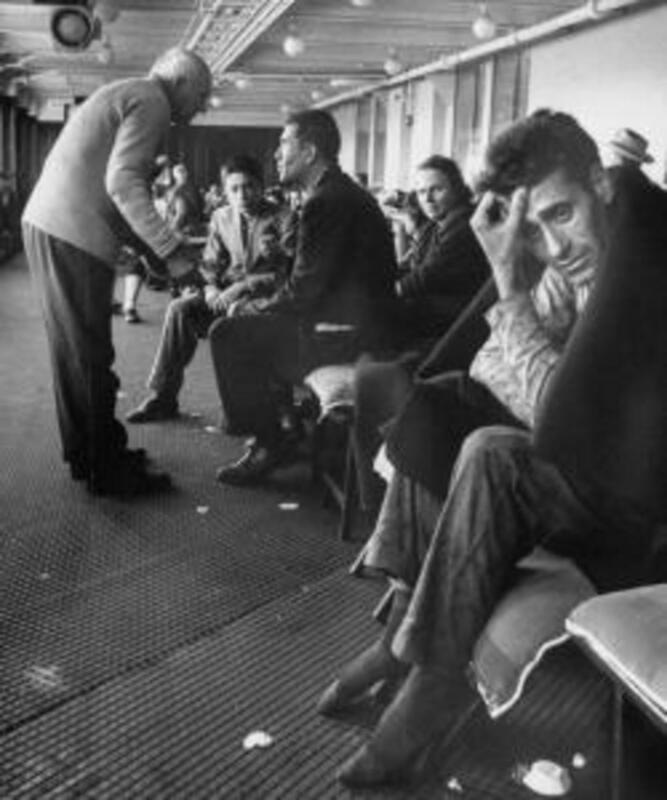 Actress Ruth Roman described hearing a “big explosion like a firecracker.” In one of the lounges, the ship’s orchestra was playing the song “Arrivederci, Roma” when they were abruptly hurled from their stage by the force of the crash. Luckily for Calamai, his ship was floating in a heavily traveled strip of the Atlantic. While the mangled Stockholm began rescuing passengers from the Doria, several other vessels answered its distress calls and raced to the scene. 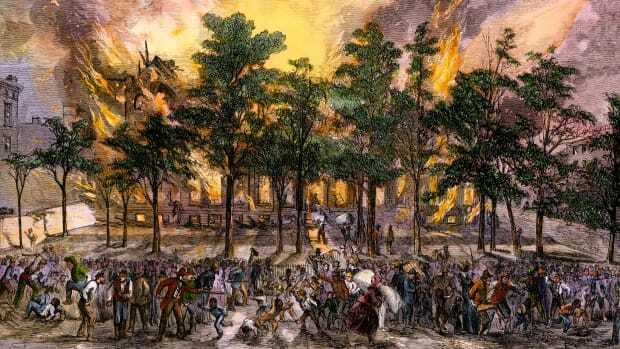 The first, a small freighter called the Cape Ann, arrived around 12:30 a.m. Two American Navy ships followed shortly thereafter, but lifeboats remained scarce. Finally, around 2 a.m., a massive French ocean liner called the Ile de France maneuvered alongside the Doria, lit up the darkness with its floodlights and began making rescues with its lifeboats. Though help had arrived, the situation aboard the Doria remained perilous. 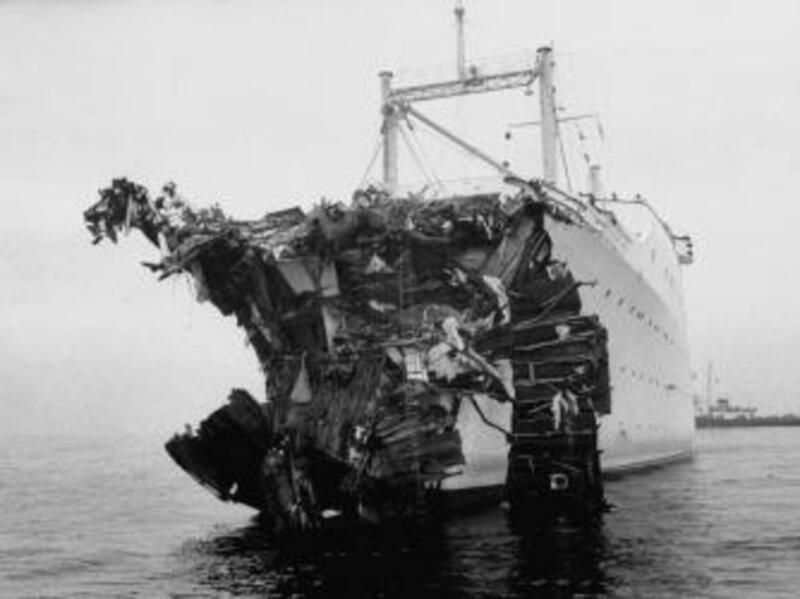 Debris from the collision had trapped some of the passengers in their cabins, and many on the lower levels had to brave smoke-filled hallways and knee-deep water on their way to the main deck. Those who gathered by the useless portside lifeboats faced their own set of problems. With the Doria listing to its right, its main deck had turned into a steep, slippery slope. To reach the starboard side lifeboats, many had to lie on their backs and slide down the deck, making sure to stop before they careened off the edge and into the water. All the while, the ship continued to roll, threatening to capsize at any moment. The rescue—one of the largest in maritime history—lasted several hours, but by 5:30 a.m., nearly all the Doria’s survivors had been evacuated. 753 people were placed aboard the Ile de France, with the rest scattered aboard Stockholm and four other vessels. Captain Calamai seemed ready to go down with his ship, but reluctantly boarded the last lifeboat after his crew refused to leave him behind. A few hours later, as the rescue fleet steamed toward New York harbor, Andrea Doria finally capsized and flooded. At 10:09 a.m., it disappeared beneath the Atlantic. All told, 51 people had died as a result of the collision—five on Stockholm and 46 on the Doria. The ships’ owners both blamed the other for the tragedy, but following an out of court settlement, a trial was averted and neither was officially held responsible. In the years since, investigators have used crew depositions and computer simulations to try and recreate the night of the disaster. While there were obvious mistakes from both ships, many researchers now believe that Carstens made the crucial error by misreading his radar and concluding that the Doria was several miles farther away than it actually was. 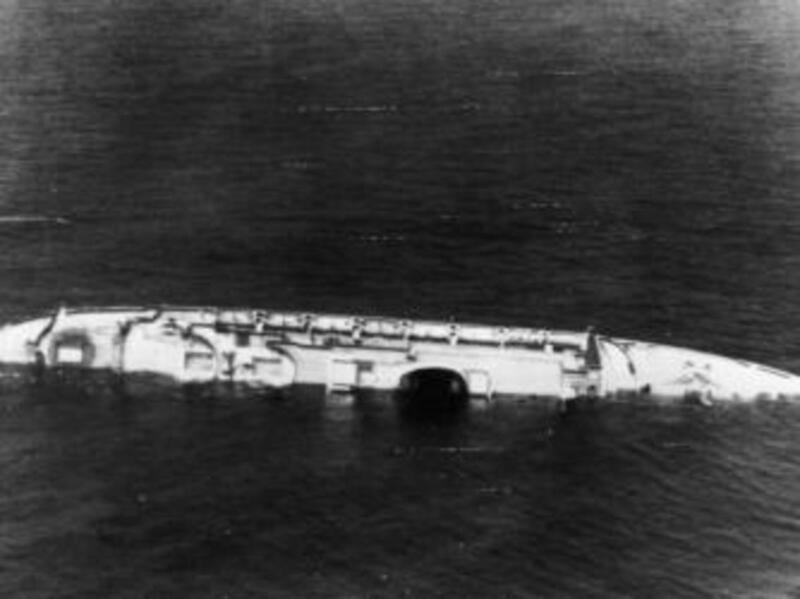 Nevertheless, debate over the cause of the wreck continues even today. 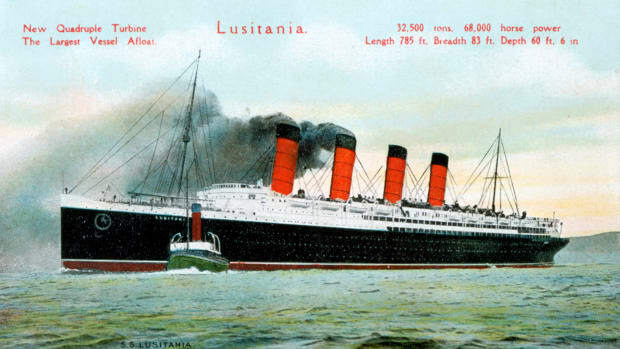 Stockholm was eventually repaired and still sails today under the name Astoria. 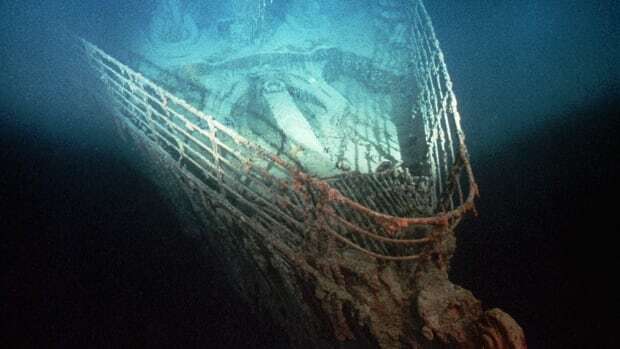 Andrea Doria, meanwhile, rests in some 240 feet of water in the North Atlantic. It has become a hallowed site among scuba divers, who call it the “Mt. 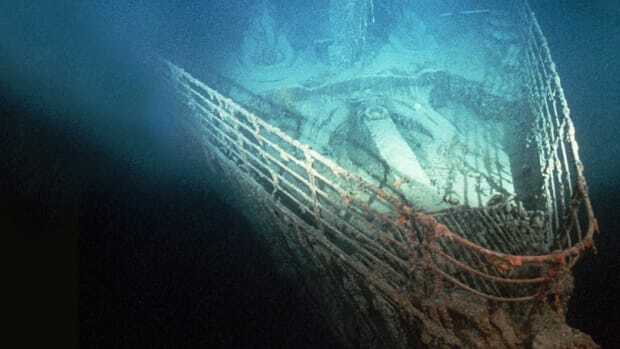 Everest” of diving, but poor visibility and unpredictable currents have ensured that 60-year-old wreck is still claiming lives. Since 1956, at least 16 people have perished while trying to explore its watery grave.